Ultimate Folding Bicycle | "Light, Compact, Durable, Versatile—pick 4"
We are unswervingly committed to a single goal: building the best folding bicycle imaginable. 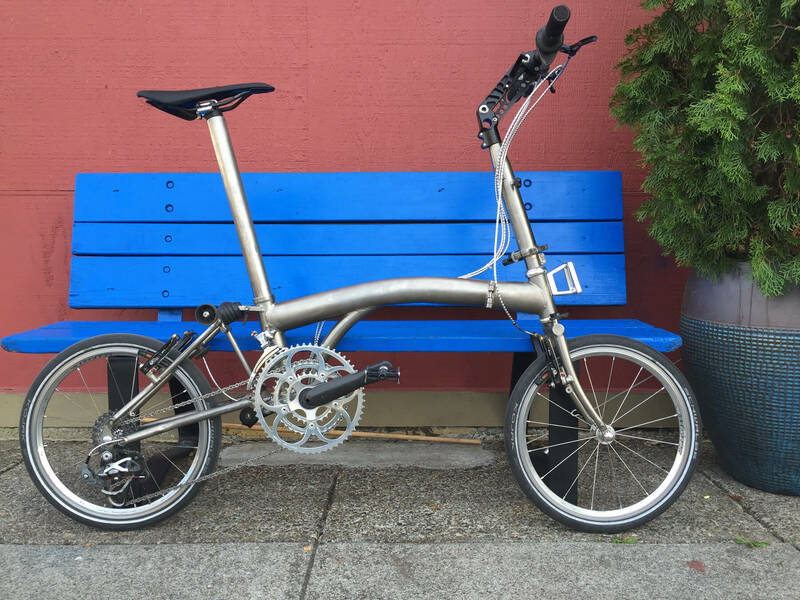 Several companies now claim to have “the lightest practical folding bicycle in the world”; ours really is [and has been—for decades]. It is quite challenging and unavoidably costly to achieve a well-engineered, comfortable, efficient, durable and versatile compact-folding bicycle with suspension*, serious cargo capacity and an ultra wide gear range that is really light enough to be easily carried up stairs and lifted to fit into overhead luggage bins! Why bother? So you can [expletive] do that when the real world dictates that you frequently must, without breaking your back—or even a sweat. Many companies claim to offer “the most compact fold”—we did it first and still the best (fast, small and neat—without removing anything so it stashes quickly and effortlessly into whatever available little space you’re likely to have or spot! 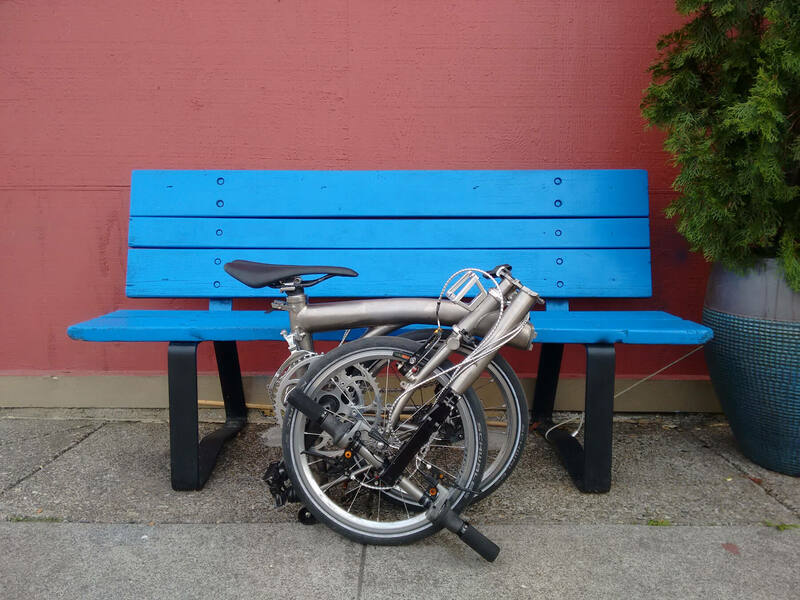 Folding bikes made from steel can dent, tear and crack when subject to years of rough service and steel quickly rusts, so it needs to be painted; paint scratches, chips and wears. Aluminum is light—but also soft, fragile and prone to catastrophic failure – often without any obvious warning signs; it also needs to be anodized or painted. Both steel and aluminum are weakened by welding (aluminum should be heat-treated to restore full strength). An expertly welded bicycle frame made out of high-strength alloys of titanium, on the other hand, requires no additional treatment or finish—and is virtually “bombproof“! So when your UFB is ridden in the rain, repeatedly slammed into various parts of the cars, buses, trains, planes, buildings and other things it is going to inevitably “encounter”—it will just shake it off and laugh!